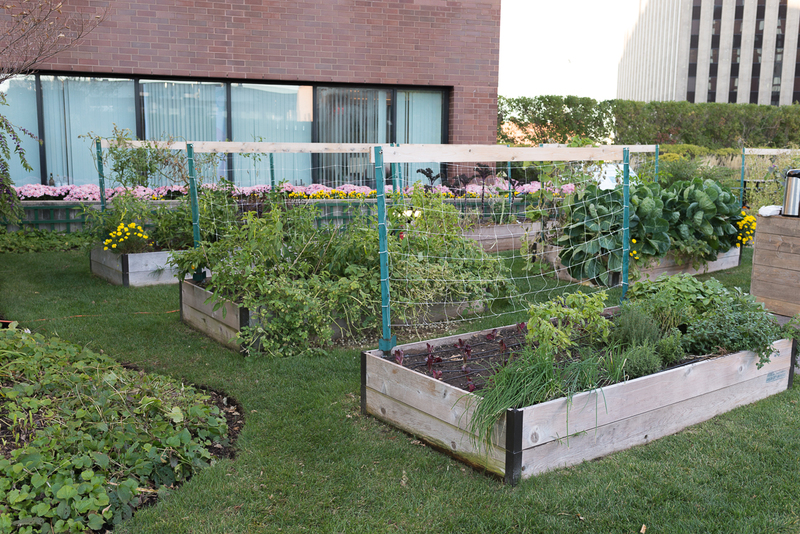 Community gardens provide a venue to collaborate in a common interest, recharge and reduce daily stress, improve health through physical activity and food education, and give back to the community by donating the harvested produce to a local food bank. Gardening is shown to reduce stress and increase productivity. And it’s fun! We are proud to work with Green City Growers on providing urban gardening workshops throughout the growing season. All food from our gardens is donated to Food for Free. We are pleased to be working with The Best Bees Company to host honey bee colonies at Kendall Center. Our hives are part of a growing movement of urban beehives helping to increase the health and vitality of the overall honey bee population.